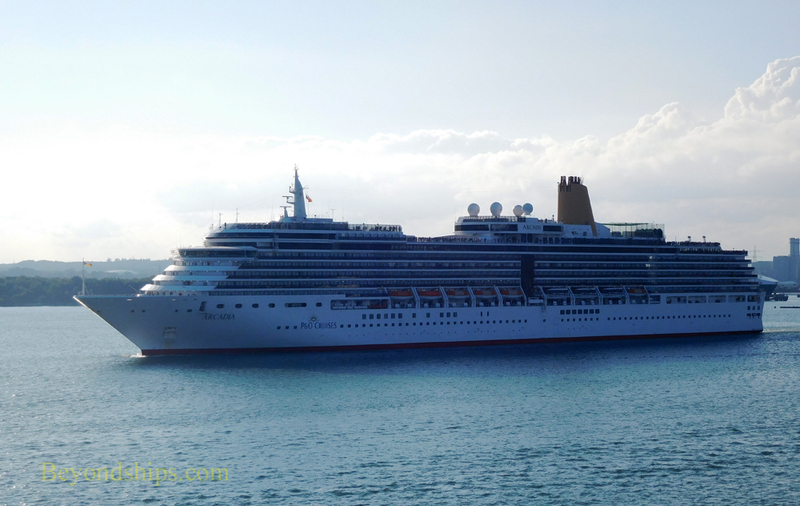 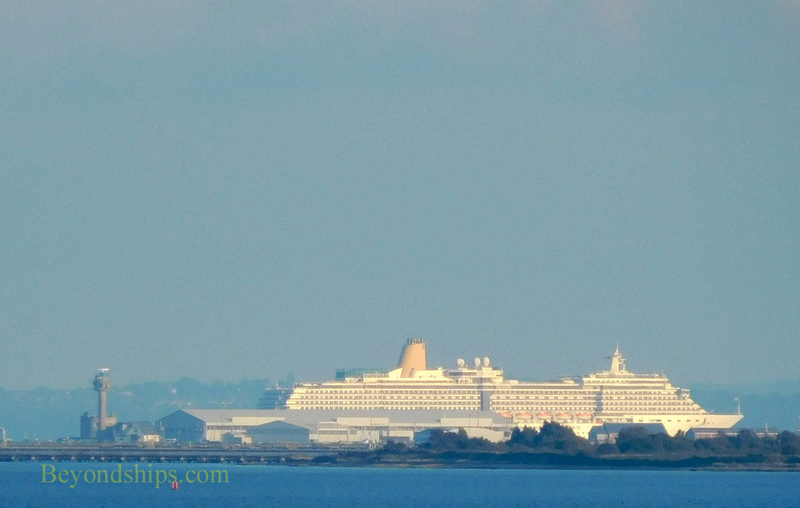 An early autumn afternoon and P&O Cruises' Arcadia is at Southampton's Mayflower Terminal preparing for a cruise. 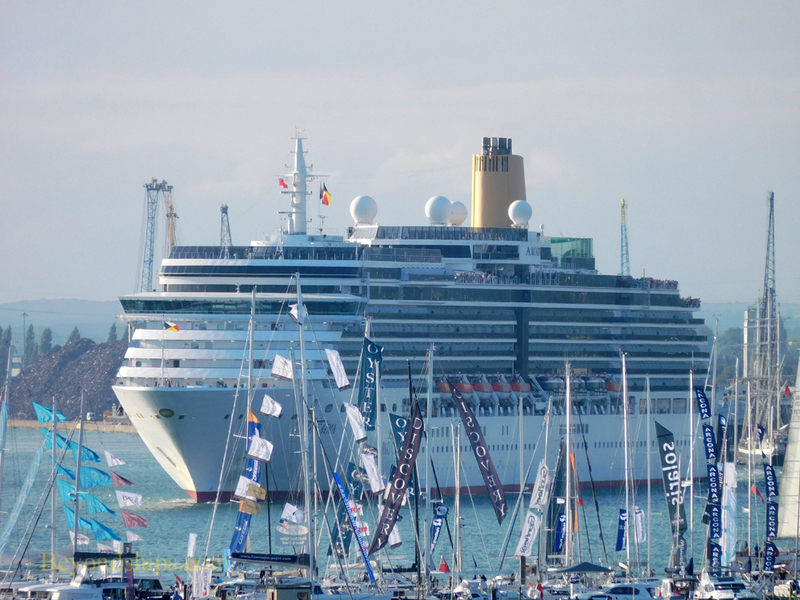 It is the week of the Southampton Boat Show and as she gets underway Arcadia sails by a forest of yacht masts. 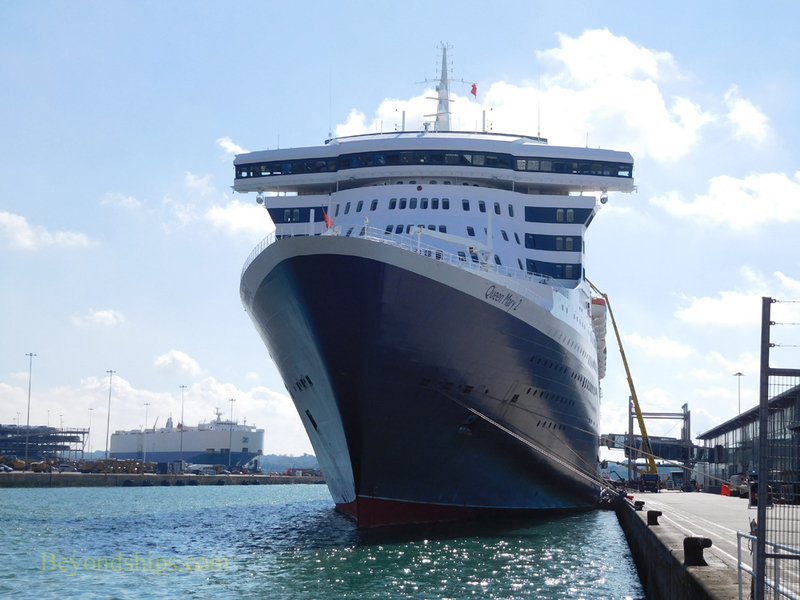 In port with Arcadia is Queen Mary 2 at the Ocean Terminal. 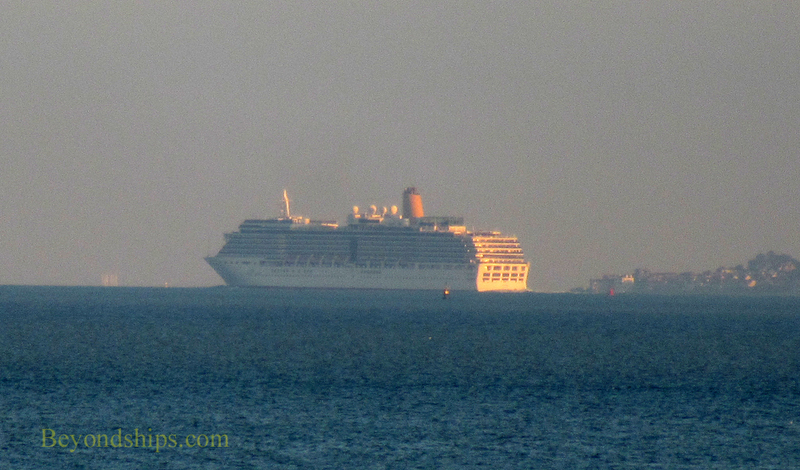 Arcadia is almost silhouetted against the setting sun as she sails past QM2 and down Southampton Water. 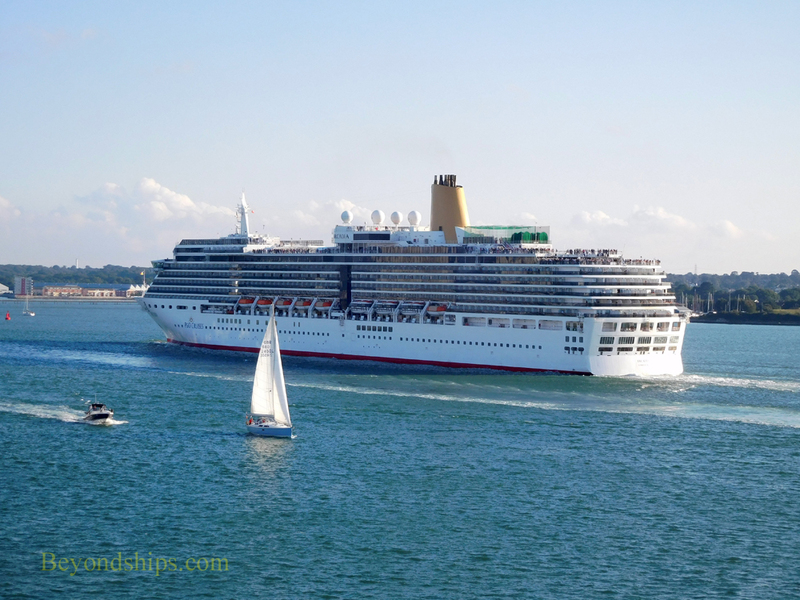 At the end of Southampton Water are shoals known as the Brambles. 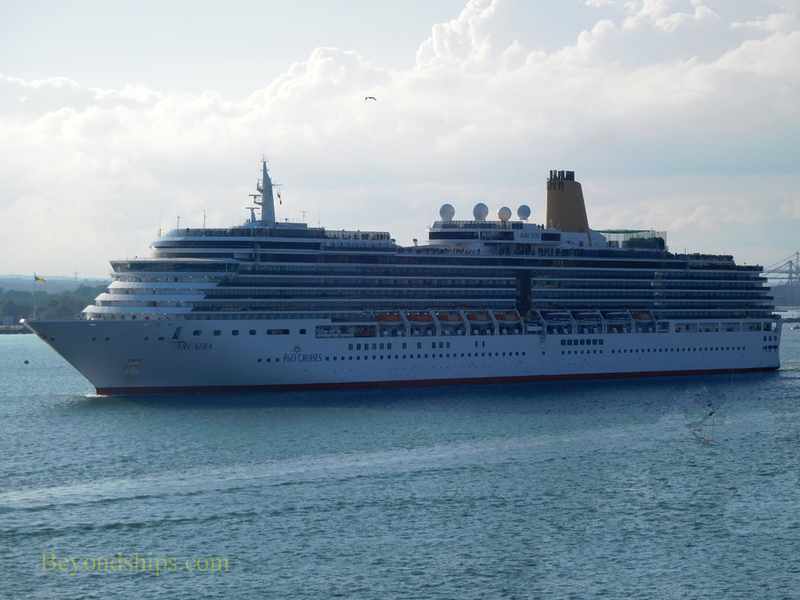 To get around them, Arcadia turns to starboard as if she were going to sail out the channel past the Needles rocks. 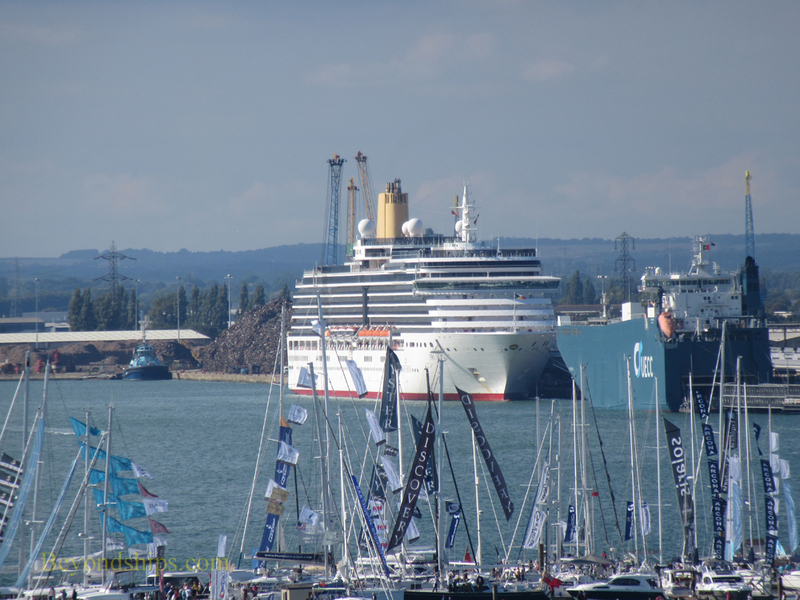 However, close to the Isle of Wight, she turns again and heads out to sea past Portsmouth.